As per the previous post I posted today (Bulking my portfolio with OCBC BCIP and Oanda FX), you would have already know that I have boosted my total investment into my Forex Account as I now have gotten more confident in making it one of my sources of income. Trading has been one of my interests since I can remember. Not for the money but for the challenges and the never-ending lessons that I encounter with trading. But of course, who doesn’t like getting paid on top of winning the market? Working as a full-time trader… Sounds good? Revise your trading plan- What are the goals you are trying to achieve by trading; Have you been trying to meet your next milestone or are you just retracing back to where you were; Are you still reading new stuffs to broaden your knowledge and keeping you inspired? Revise your trading strategy- Are you trading according to your strategy; Why are you not; Are you trying out new strategies on your real account without testing it on demo first; Does this strategy suits you based on trade holding period, attention required for each trade, the risk intensity, your understanding of the FX pair? Revise your mindset- Are you purely seeking out revenge in the market after losing this much? Is it worth it to even pay in cash for your emotions to control you before you regret later on? Are you consistently reading new stuffs to broaden your knowledge and keeping you inspired? Revise your Trading plan every 10 months, Trading strategy every 10 weeks and Trading mindset every 10 days to make the best of your trading system. Does anyone here trades or tried trading The Foreign Exchange Market? 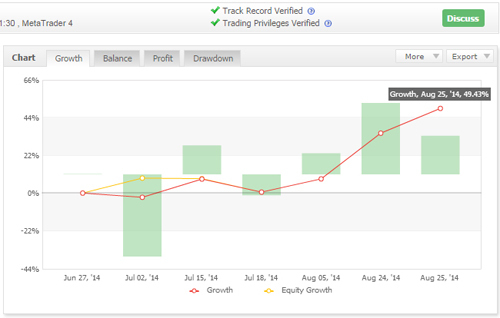 How long did you trade before you became profitable or why did you quit trading Forex? Would love to hear from you guys! Your blog provided us useful information to work on. Thank you for your outstanding job! Thanks for dropping by here. I have been busy with the trading and preparations for my army enlistment hence the lack of updates regarding this topic. Be assured that there would be more and more FOREX related articles from me such as detailed explanation of my trading strategies, plans, analysis and things that worked for me during the past months of experiences with it. I wanted to perfect my knowledge and skills more on this aspect before sharing them. Make sure you look out for my blog by following so you’ll get notified when I am back in action!